Beginning Friday, July 13, 2018, Zeller Street will close just west of Ranshaw Way. The closure is required so crews can reconstruct the east side of the intersection. 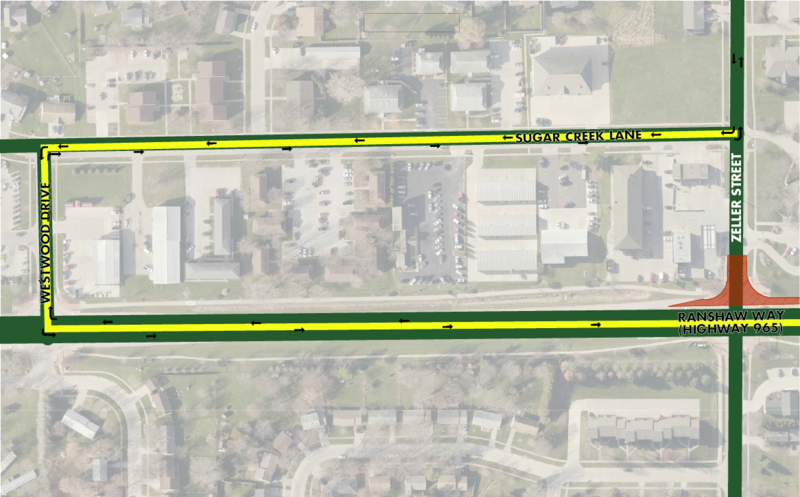 During the closure, Zeller Street traffic will be detoured along Sugar Creek Lane and Ranshaw Way (Highway 965). All businesses will remain open.